This may mean that Xbox Live has encountered an error, or that your Xbox console is experiencing network connectivity trouble. Note This error is only temporary and may not pertain to your payment or account information. Sign in to account.microsoft.com using your Microsoft account. Select or tap Store, and then select the category from which you want to make a purchase. For example, if you want to purchase a video, select Entertainment, and then select Movies & TV. 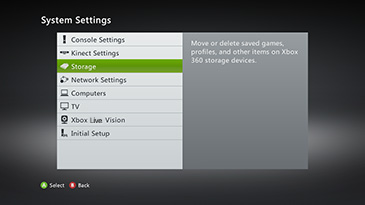 Highlight but don't select a storage device, and then press the Y button on your controller for Device Options. Note It doesn't matter which storage device you highlight. This clears the cache for all storage devices. 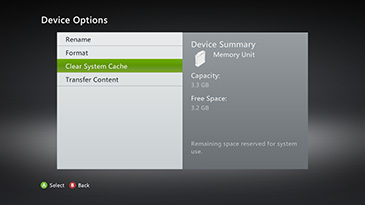 Note You'll return to the Storage Devices screen when you've cleared the system cache. You can then press the Guide button on the controller and return to Xbox Home. To turn the console back on, touch the power button again. Run the Xbox 360 Connection Error Solution. This step-by-step tool may be able to find the problem, which might be a bad Internet connection or a router problem. Would you like to contact Support regarding the "Error 800700E8 occurs when downloading content from Xbox Live on Xbox 360" issue you were reading about or a different issue?